SCVHistory.com | Placerita Gold | Discovery of the First Gold in California (Engelhardt 1927). Discovery of the First Gold in California. Fr. Zephyrin Engelhardt, O.F.M. 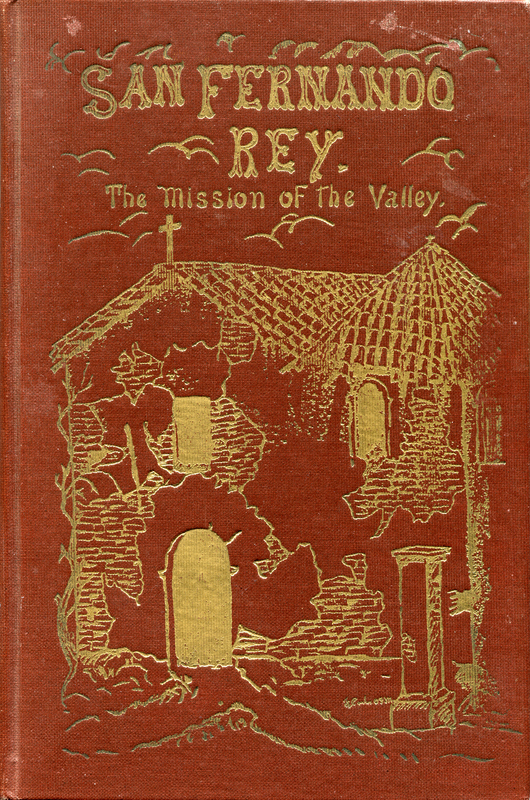 : "San Fernando Rey, The Mission of the Valley," pp. 143-144. Franciscan Herald Press, Chicago 1927. Engelhardt in 1927 tells essentially the same story of the Francisco Lopez gold discovery that A.B Perkins and Adolfo Rivera tell in 1930, with one glaring exception: There is no "golden dream" (and thus no oak tree) in Engelhardt. We have yet to find any reference to a "golden dream" predating Perkins/Rivera (1930). Also, Engelhardt doesn't tell us where on the Rancho San Francisco the discovery was made. He doesn't mention Placerita/Placeritos Canyon, by which name the canyon was known in 1927; although he does refer to San Feliciano Canyon as being a different location. Engelhardt and Perkins/Rivera trace their respective stories to the same secondary source: Catalina Lopez, a niece of Francisco who, the writers tell us, learned the story in 1843 when she was 11. Where Engelhardt and Perkins/Rivera deviate is in their tertiary sources. Engelhardt, the Church's official mission historian, cites mission records wherein another friar was told the story by Catalina (date unknown). Perkins heard the story in 1930 from a descendant of Catalina (relationship unknown) who had been told the story by Catalina in 1914 when the latter was about 82. On the upside, the writers are consistent in the discovery date (March 9, 1842). Interestingly, Engelhardt tells of a resurgence of gold workings in 1855-1857, although we don't know whether he is referring to San Feliciano Canyon or somewhere else on the rancho. Engelhardt says Lopez dug the onions from a bed he had "cultivated." Francisco Lopez had a vegetable garden? Where was it? In Placerita Canyon? Miles from his home? Wouldn't a vegetable garden be near the kitchen of his home at Castaic Junction? Other versions of the story refer to "wild onions," as told in 1867 by Abel Stearns (who also doesn't say where on the rancho the discovery occurred). The San Fernando Mission District bears the distinction of having supplied the world with the first California gold, six years before James W. Marshall on January 24, 1848, found the glittering nuggets in Sutter's mill-race near the South Branch of the American River, fifty miles from the site of the city of Sacramento. The discovery, briefly, came about in this way, according to the Rev. Eugene Sugranes, C.M.F., who had the facts from the niece of the discoverer, Catalina Lopez. On March 9, 1842, the feast of St. Frances (Francesca) of Rome, Francisco Lopez, then in charge of San Francisquito Rancho determined to celebrate his birthday by adding to the dinner some fresh vegetables he had cultivated. From a bed of onions he pulled up a bunch of the plant. On shaking the soil from the roots, Lopez observed several yellow particles which on close examination proved to be genuine gold. In his excitement he forgot all about the dinner, and hastened to make known his happy find. Many fortune-hunters, especially from Sonora, crowded into the country, and the placer, as well as another discovered in the following year in the San Feliciano Cañon, on the same San Francisquito Ranch, but about eight miles to the west of Newhall, was worked more or less continuously till the year 1846. Work was resumed in 1855 and continued till 1857, when it seems the yield barely paid the expense. The first parcel of gold dust, consisting of 18.34 ounces, was taken by Alfred Robinson to the United States Mint at Philadelphia by way of Cape Horn. When coined it was valued at $344.75, or over $19 to the ounce, according to a writer in the Land of Sunshine, July, 1896. According to the account given by Ms. Catalina Lopez, on the first anniversary of the discovery, March 9, 1843, in a bower surrounded by a great multitude of people, Father Blas Ordaz, O.F.M., in charge of San Fernando Mission, celebrated a High Mass, and the neophytes supplied the music as well as the singing. 1. The Rancho San Francisco, i.e., 48,000 acres of the Santa Clarita Valley. 2. Roughly the area between Hasley Canyon and Piru. 3. When assayed, not when "coined." Read this. 4. The punctuation might lead to a misinterpretation; pretend the comma is a colon.